Black Friday Deals Start today! Actually, right now! For a limited time only, get select Beachbody programs, equipment and supplements for the lowest price of the year! Have you been waiting for a deal for some fitness products to keep you on track this holiday season? Well, here you go! There are so many great sales here…Turbo Fire (my favorite!!) to kill calories. A free chin up bar with P90X or The Asylum. A half price dance ab workout. Tai Cheng…a great workout for stability. 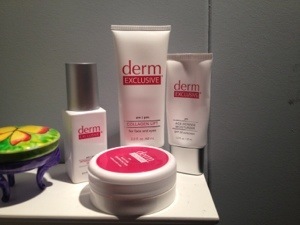 Derm Exclusive skincare. Equipment…you know I love my jump mat! Plus nutritional supplements…I’m jumping on the Energy and Endurance deal! Healthy skin, that is. Always in. I was a bit worried that my post-pregnancy experience with Derm Exclusive would not be as wonderful as during my pregnancy…how much was from pregnancy and how much was the skincare. I have been terrible with taking care of my skin in the past two months. Many nights, especially before I was working out at night, I just wanted to go to bed and a lot of days I would put it off until I showered, and that would be at night! I’ve been so bad that this box of Derm Exclusive has been sitting there untouched since 12/31! So we’re looking at no pregnancy “glow” and using the products sporadically on skin that was fairly terrible before pregnancy. And still excellent. I’m so happy with these products. I get complements on my skin even when I have had no sleep and am wearing no makeup. I couldn’t ask for better results! I feel like I may be getting sick, so I had miso soup and sushi to try to kick it…along with lots of tea! I did core/yoga today and it was better than last time. Not great but better and that’s all I can do! 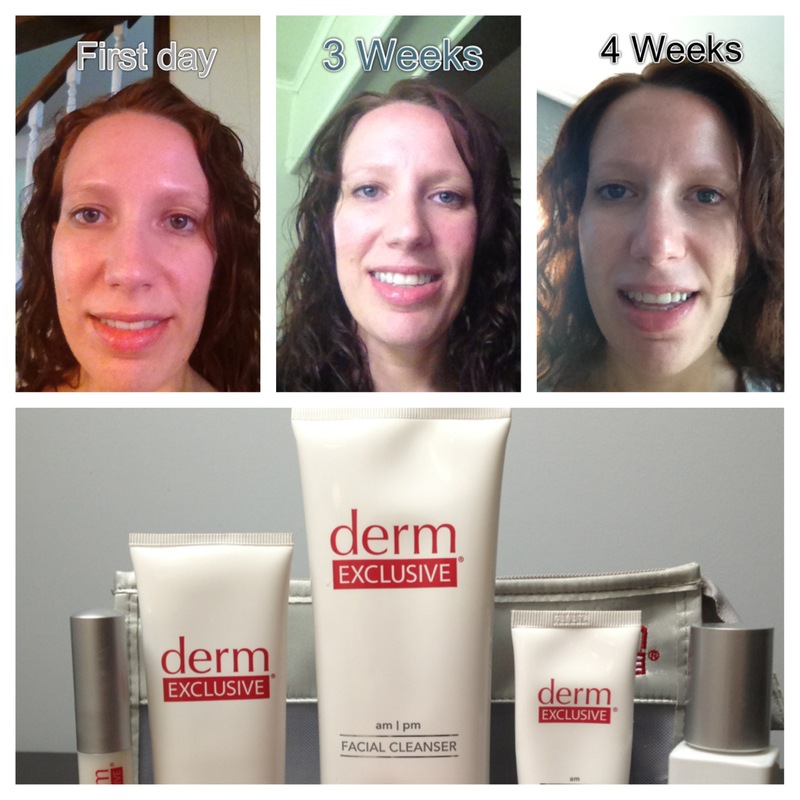 It has actually been a bit more than 90 days since I’ve started using Derm Exclusive, but even the way I felt after a few weeks hasn’t changed. I still love it. I have had lots of complements on my skin, I feel that my skin tone is more even, and my makeup actually stays on my face. Helping that might be that I don’t wear as much makeup because I don’t feel the need to. But when I do, it stays there. This is a new thing for me, especially through the summer. I can’t rave about it enough. It is called anti-aging skincare, but I have found it to be good for my skin in general. No breakouts, good tone, less oily. Love it! If you want to purchase or get more information, you can find it here. In other news, I got a flu shot yesterday. It was my first flu shot ever, but now wont be my last. My husband gets it each year so I probably should have in the past, but with the baby now it is highly recommended. My arm is sore, but otherwise I’m good. Four weeks and I love it! The lines I have are less noticeable and my skin tone is even. So happy I tried this out! It comes in a 4 piece or 7 piece set. I got the 7 piece and I really like the extra products, but if you have a favorite cleanser and moisturizer the 4 piece has the workhorse products of the line. Want to try it? Go to www.allisongettingfit.com and click on the Shop link!